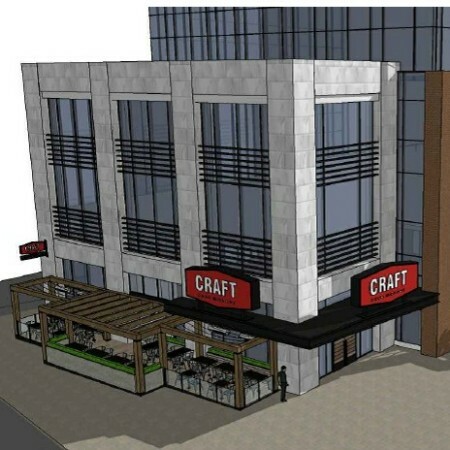 OTTAWA, ON – Western Canadian restaurant & taproom chain CRAFT Beer Market has announced that it will soon be expanding eastward. Founded in Calgary in 2011, with locations in Vancouver and Edmonton following in 2013, the first CRAFT in the eastern side of the country will be opening in Ottawa’s The Glebe neighbourhood in late 2015 or early 2016 as part of the new Lansdowne Park development. Following the successful model of the western locations, the Ottawa CRAFT will feature more than 120 draught beers along with a selection of premium wines and spirits, and a food menu focused on “New North American Classic Cuisine” made from scratch with locally sourced ingredients. For more details, see the freshly launched website, Facebook page and Twitter feed for CRAFT Ottawa. meh, my least favourite craft beer bar ever. So many great places to drink beer, the one in Vancouver doesn’t even make my list.